Update: Saturday RSVPs now closed. OSF Lunch & K1 Speed Reservations Made/Confirmed April 7, 2015! -Need to arrive 20 minutes early for registration. -Party starts around 2:00P for those not attending other events. -Groups larger than 25 people require reserving the banquet room and meal pre-orders. -50/50 raffle to raise funds for charity and support Sacramento Chapter activities. Niello is making goodie bags! Route: Niello up to Auburn, around the back of Folsom Lake to Old Spaghetti Factory (OSF). Note: The route includes roads popular with cycling groups. Be aware and share the road. We may also include stops for photo opportunities. Lunch will be ~1:30P at the Old Spaghetti Factory (OSF). Groups over 25 people require banquet room reservation & meal pre-order. Up to 12 people allowed on the track at a time. If more than 12 RSVP, they will split the group into more races. Arrive 20 minutes early for registration. Height requirement for ADULT karts is 4ft 10in (58″). All racers should be under 7′ tall and 300 lbs. Drivers must wear closed-toed shoes. A head sock and helmet are also required and will be provided to you for use while racing. You can bring your own helmet as long as it is Department of Transportation (DOT) approved or greater with a full face cover and a visor or goggles. No mixed JUNIOR and ADULT races. So, unless you are bringing your spouse or significant other, it is not recommended to bring children to the track. Sacramento Chapter President Walter Donnell will be hosting the party at his house. You will either need to RSVP and/or attend the other events earlier in the day for location details. Food: Bring your own food and BBQ. This is a “bring your own food” event. Should be a lot of extras from people, but bring something...Pot-luckish. Walter will have a couple refrigerators and a freezer available for food items. Also bring your own water/sodas, snacks, hats, sunscreen, chairs, etc. If you want alcoholic drinks, you gotta bring your own and be responsible about it. 50/50 raffle to raise funds for charity and support Sacramento Chapter activities. Rolling Article / Event Photos Below Davis Car Show & Swap Meet Information. Pre-Registration will close Friday, April 10, 2015. Day of Event Registration will be accepted at the Entrance Gate. Due to Health Department regulations: No food or beverage sales of any kind. Now in its 17th year, the Davis, CA show and related weekend events provided a spectrum of activities for anyone interested in all things related to Volvo. Saturday started off with a continental breakfast and informal show hosted by Niello Volvo of Sacramento at their dealership. After breakfast, there were two foothill drives to choose from, led by members of the Sacramento Chapter, concluding at the Old Spaghetti Factory restaurant in Rancho Cordova. After lunch, participants had the option of racing electric go-karts at K1 Speed or getting an early start at the BBQ and festivities hosted by Sacramento Chapter President Walter Donnell III. Central Park in Davis was the site of the Sunday show and swap meet, hosted by the Golden Gate and Sacramento Chapters. The Park proved to be the center of the Volvo universe for the weekend, with 125 Volvos officially in attendance and many more parked outside the show. With two raffles, a sold-out swap area, sponsor displays (including a demonstration by Platinum Sponsor iPd), Peoples’ Choice show awards, and a few hundred Volvo enthusiasts, there was something for everyone. A Voper and a Tolvo were spotted at the show; the explanation of those vehicles and complete weekend coverage will have to wait until the next article. Combine over 125 Volvos, hundreds of Volvo enthusiasts, distinctive awards, generous sponsors, some great California Spring weather, and a public park in a moderately-sized college town, and you’ve got the makings for one of the best Volvo shows in the U.S. Add to the mix a day of pre-show activities, and you’ve got a Volvo smorgasbord sure to please all comers. 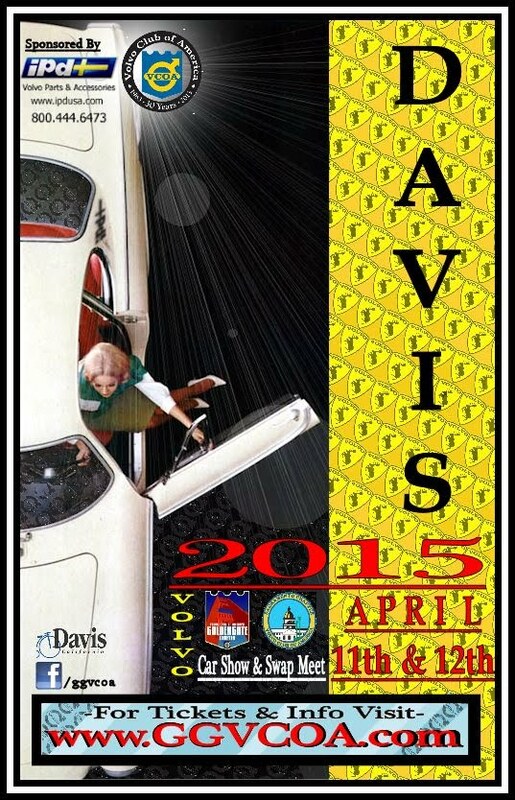 The 17th Annual Davis Show was held on Sunday April 12th at the city’s Central Park. Starting with pre-dawn setup activities led by Golden Gate Chapter President Justin Lee and a team of volunteers, the activity level rose throughout the morning as Volvos streamed into the Park and adjacent street closure area. One never knows what new surprises in the Volvo world will be at the Show. There’s a lot of diversity in the stock and modified Volvos, and there are the truly distinctive. Among the new and distinctive were Robert Marcello’s Voper (a top-less cross between a 1979 Volvo 242 and a Dodge Viper) and the “Tolvo” (a 1973 Toyota Hilux Pickup with a Volvo B21FT engine) owned by Turbobrick’s Erik Ebberoth. Returning for an appearance was the C202 owned by Keir Moorhead & Lynette Stone. A new item featured in a tech session at the iPd booth was their 4T4 Turbo Kit for the S60R & V70R models. Enthusiasts came from near and far, and it’s common and very nice to see people from Southern California, as well as the states bordering California and beyond. A few of the long-distance travelers noted were Jay Norton, President of the VCOA Cactus Chapter (driving his 1800) and one Turbobricks member from Virginia. Former Golden Gate Chapter member Mandy Faddis, who now lives in Southern California, led a caravan of 12 Volvos up from that area. Knowing that so many people attend from far away helps make the jobs of the volunteers rewarding. While there are too many volunteers to list here, they are noted in the sidebar to this article, and we recognize and thank them for their help. If you’ve been to the Show, you know that the friendly street fair/family reunion vibe is strong. If you particularly sensed that at the registration table, it was no doubt due to the fact that the table was staffed with the extended families of both Justin Lee and Branden Short, who were kept busy with raffle ticket sales and answering questions. Attendees always look forward to the raffle prize drawings, and through the generous sponsor donations, there were plenty of prizes to choose from. Platinum Sponsor iPd provided two $250 gift certificates, a sway bar kit, HD spring seats, P2 & 850 HD end links, and a V-band adapter kit. Some of the other prizes included: a $150 gift certificate from GROM Audio; collectible Volvo toy cars, video games, and a Volvo clock, from Lawrence Volvo; two VC60 remote-controlled cars, insulated water bottles, hats, and a logoed folding chair, from Niello Volvo of Sacramento; two $100 gift certificates and oil change kits from iRoll Motors; an ALLDATA subscription arranged by Gary Sellstrom; and a 1:18 scale 240 Turbo model courtesy of AUTOart. Aaron Mowbray, Golden Gate Chapter Vice President, was again the voice of the Show. His enthusiastic and commanding voice kept the crowd informed and entertained throughout the day. Between the raffles, sold-out swap meet area, dozens and dozens of stock and modified Volvos, sponsor booths, and People’s Choice Award voting, time passed too quickly and the final raffle and awards ceremony were ready to start. Chapter President Justin Lee started off the awards ceremony by honoring iPd’s strong and long-term support of the Show with the presentation of the Sponsor of the Year award to iPd President Stuart Hockman. In addition, an Excellence award was presented to iPd General Manager Chris Delano. Chris and Cameron Daline (iPd’s Product Line Manager) presented the iPd Choice Award to the owner of a beige 1976 242, whose name was unavailable at press time. This year’s heavy rectangular glass People’s Choice Awards for both stock and modified Volvos were well received. With 1st & 2nd Place awards for Stock & Modified in ten categories, there were many happy owners as the ceremony proceeded toward the Best of Show Award. Robert Marcello’s Voper won the Best of Show award, as well as a First Place award in the Modified 240/260 category. Robert’s 1993 240 Classic won First Place in the Stock 240/260 category, giving him a clean sweep of the 240/260 categories. 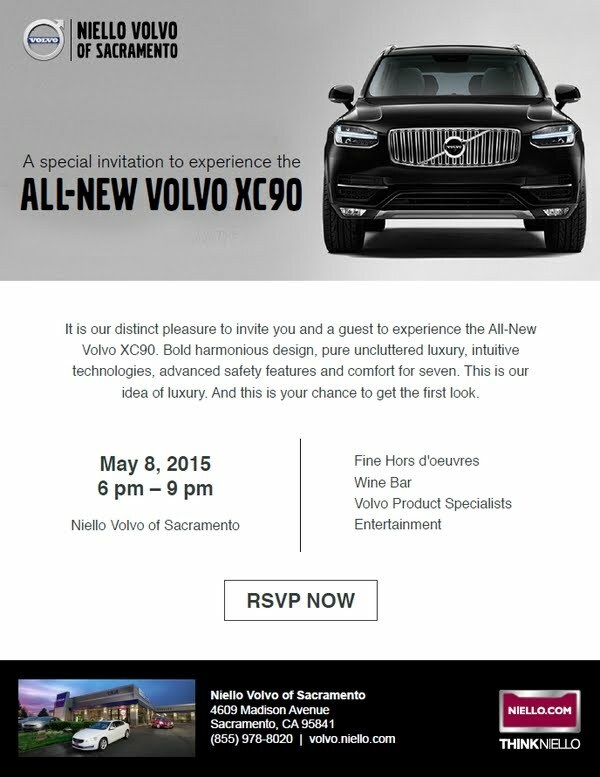 Many in the local Volvo community will recognize Robert as the owner of Sacramento’s Volvo Service (SVS). Leading up to the Sunday Show were the Saturday pre-Show activities planned by the Sacramento Chapter. This year, the number of activities was greatly expanded, due to help from the Turbobricks on-line forum community and the sponsorship of Niello Volvo of Sacramento. Attendees could choose from an informal breakfast get-together, two different scenic drives, a group luncheon, go-kart racing, and the traditional evening barbeque. Niello Volvo of Sacramento graciously hosted the breakfast get-together at their dealership, where attendees were treated to a continental breakfast and goodie bags. After breakfast, the briefing sessions for the scenic drives were held in the customer waiting room. At session’s end, Dealership General Manager Chad Brown and Parts Manager Roger Martin spoke to the group about Niello as well as Volvo’s upcoming product lineup. Both scenic drives started at Niello and took participants on a loop through the foothills near Auburn, CA and returned to the Sacramento area. The Fast Group (composed of performance/modified cars) was led by Gary Sellstrom and took the twistier and more demanding (of driver & car) route on to Salmon Falls Rd. The Slow Group (stock/vintage) led by Wally Russell, took the less demanding, straighter route along Lotus Rd. After the drives, the two groups met at the Old Spaghetti Factory in Rancho Cordova, CA for lunch. Now sharing observations about driving skills and technique, the groups had plenty to discuss as lunch was served. There were also many “a-ha” moments as participants were able to relate internet forum names to faces as the discussions went on. Next up was the electric go-kart racing at K1 Speed in Sacramento. The 16 people (mostly from the Turbobricks community) signed up were divided into two race groups. Each group’s members raced against each other in both a qualifying (14 laps) and final (16 laps) race, providing plenty of track time for all participants. The day’s events concluded with the 5th annual Pre-Davis BBQ party, hosted by Sacramento Chapter President Walter Donnell III at his home. With plenty to eat and plenty of company, the evening passed quickly and it was time for the concluding charity raffle to be held. The prizes included several Volvo collectible prizes (donated by Mark Baldwin) and an ALLDATA subscription (arranged by Gary Sellstrom.) The proceeds equally benefitted the Rancho Cordova Police Athletic League and the Sacramento Chapter. 2015 Davis Meet Weekend videos are being processed/uploaded to YouTube. The spreadsheet on this webpage automatically updates with any changes (you may need to refresh the page to see the changes). The Sacramento Chapter held its annual Swedish Day at the IKEA store in West Sacramento on June 27th. The Day provided an opportunity for members and newcomers alike to get together and learn more about the club and local resources for keeping our cars on the road. With this event being open to all Swedish cars, there were a few Saabs mixed in with the Volvos for a total of about a dozen cars. IKEA graciously allowed us to cordon off a prime parking area near the store entrance for our cars and reserved cafeteria tables for our group. After a pleasant morning of conversations ranging from the social to the technical, the group adjourned to the IKEA cafeteria for a tasty lunch and a productive chapter business meeting. Notes: This is an important charity event in our area and an opportunity to see some amazing automobiles! Special demonstration of transmission/overdrive testing. Questions or RSVP with iRoll Motors.